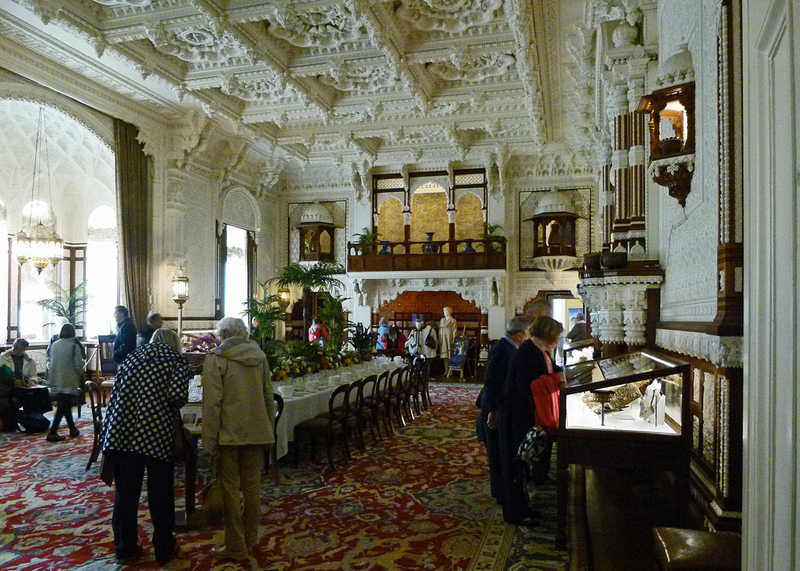 Royal Osborne House is unlike most palaces and stately homes you will ever visit. 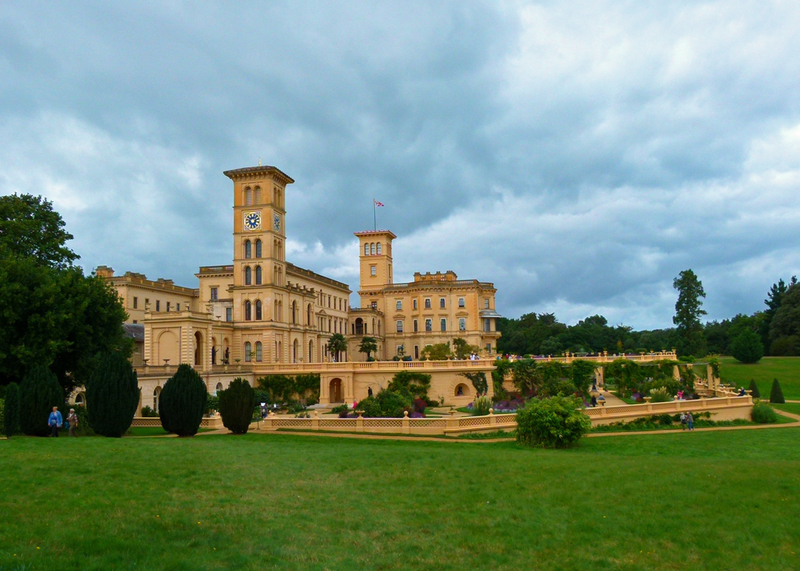 There is no lengthy history, no convoluted ownership; Osborne House was the creation of Queen Victoria and her beloved husband the Prince Consort, Albert of Saxe-Coburg and Gotha. They designed it as their personal seaside retreat and family home on the Isle of Wight, just off England’s south coast. So its story is quite a simple one and it brims over with the often intimate, haunting, presence of the royal couple and their nine children. 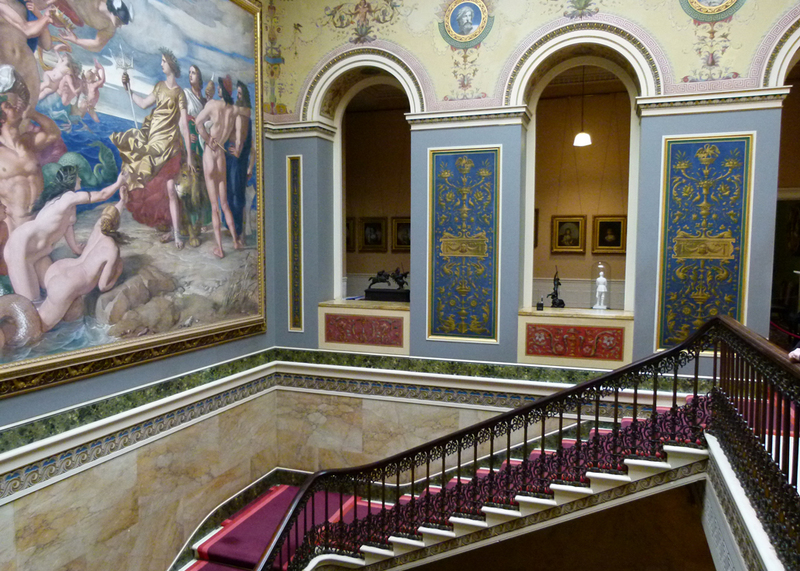 In fact, Osborne House has more of a claim to be the Victoria and Albert museum than the Victoria and Albert Museum. Of course, Osborne will overwhelm the hoi polloi; it is a grand house. This is to be expected of the private residence of the woman who gave her name to a period of unprecedented change, came to reign over 25% of the world’s population and whose offspring married into the great royal houses and families of Europe. Yet, though Osborne House is stuffed full of Victorian bling and technology, by and large and relatively speaking it is not overly ostentatious; indeed, in some ways it seems almost too modest to qualify as a proper palace. This is undoubtedly a reflection of Victoria and Albert’s style; apparently, they wanted it to be Geműthlichkeit – warm, friendly, cosy even; perhaps they also felt that, at Osborne, they had nothing to prove. The Queen of the United Kingdom hardly needed to impress the neighbours with expensive baubles and kitsch when she was at home. Victoria had fond childhood memories of the Isle of Wight and the Osborne estate was suggested to the royal couple in 1843 by the then Prime Minister, Sir Robert Peel (1788-1850). 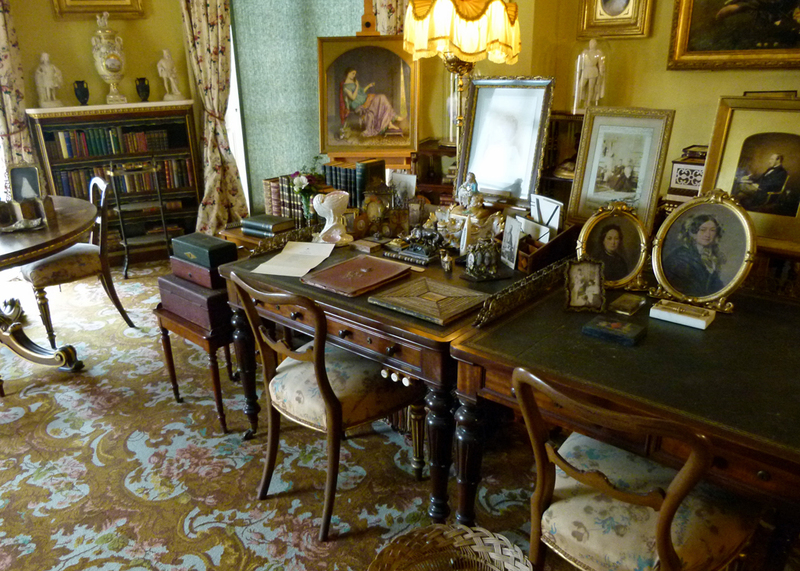 It is odd, imagining Victoria and Albert house-hunting. In any event, they loved the place, initially leased it and then bought it for £28,000 in May 1845. The existing 18th century house was too small, however. By-passing the official department that dealt with government buildings (like a modern property and facilities department), Albert privately consulted Thomas Cubitt (1788-1855), who had developed most of the Duke of Westminster’s Belgravia estate and who persuaded Albert to start afresh. So a new house was designed and constructed in phases between 1845 and 1851. It is in Italianate style, because the views over the Solent, the stretch of water between the Isle of Wight and England, are said to have been an unlikely reminder to Prince Albert of the Bay of Naples. The old house was demolished in 1848, the only significant remnant being the front porch, which has been reused in the entrance to the delightful walled garden. Prince Albert concerned himself with every aspect of the estate, including the trees and gardens. Osborne is not a particularly elegant building, but the restored lower terrace with its views over the Solent is simply magnificent; it is like being in the grounds of a large, over-blown, hotel. I imagined a polite cough at my elbow, announcing the arrival of a deferential lackey serving cocktails. The statuary is lovely, the focal point being a stunningly beautiful bronze Andromeda fountain by John Bell, purchased by Victoria at the Great Exhibition in 1851. Other features on the terrace – allegedly a result of Albert’s frugal nature – are fashioned from good old-fashioned concrete. The entire house and external stonework has been painted a warm cream-yellow-orange shade, giving the place a kind of Mediterranean feel, and the flower beds are a riot of colour. Bathing machines were common at the time. Apparently, Victoria used hers into her 60s. It even had a plumbed toilet – though where it was plumbed to, I couldn’t fathom. Once (allegedly) used as a chicken coop, it has been lovingly restored, with much trumpeting from English Heritage, so it was somewhat disappointing that we couldn’t even see inside when we visited. About a mile from the house is the Swiss Cottage. The Swiss Cottage is the most engaging Wendy House you could possibly imagine. It was built as an informal private place of entertainment and education for Victoria and Albert’s nine children, and is generally thought to have been Albert’s idea. The rustic Alpine chalet style was possibly inspired by Albert’s Bavarian fatherland, but was also fashionable at the time. It has long been believed that the cottage was imported in sections from Switzerland, but it is now thought it may have been prefabricated in England and assembled on the spot. 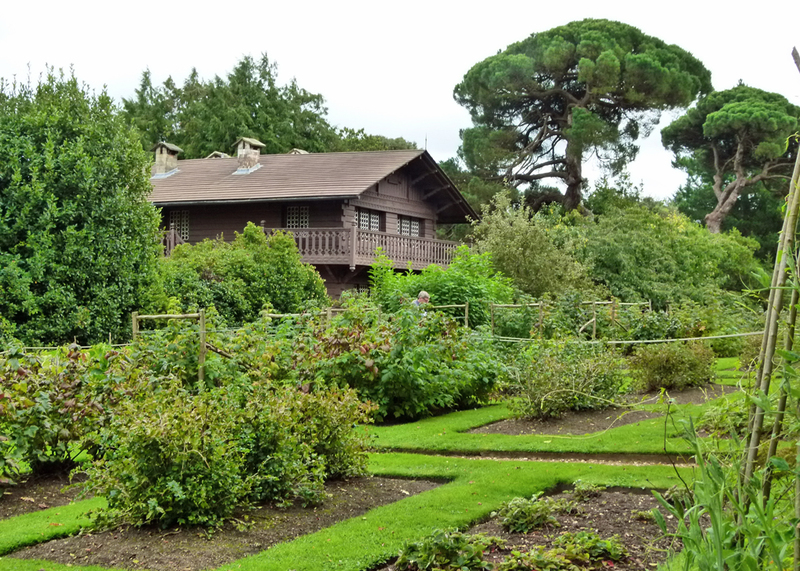 The Swiss Cottage is a real house where the royal children would play at being adults and learn about the world around them. Outside, they would grow fruit and vegetables on their own, allocated, plots. If the produce was good enough, Albert would buy it from them. 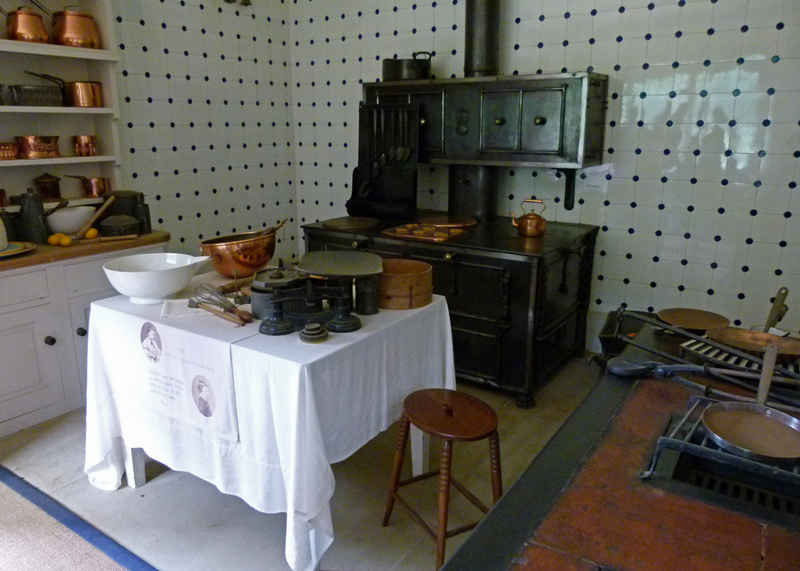 Inside was a real kitchen, a dairy and a sitting room, all fully equipped, but with everything at 75% scale. Here they would prepare food and entertain guests – such as mum and dad. Sometimes, Victoria would do some work in the cottage while she was there. The cottage also contained a museum for items that the children collected – anything from casual finds to fossils, stuffed animals, curios and genuine, rare and high value, antiquities. Eventually, the collection outgrew the space and had to be housed in a discrete building of its own where thousands of astonishing objects are on public display today. A short distance from the Swiss Cottage is a miniature reproduction state of the art Victorian fort, where the children could have pretend wars. It’s a pity the idea didn’t catch on. 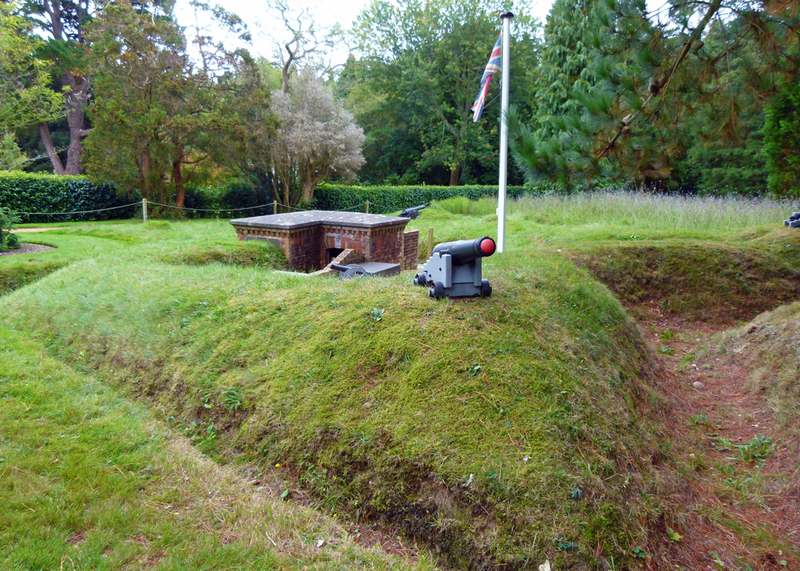 The future Kaiser Wilhelm II played in the fort as a boy, when visiting his British cousins. And who can blame him? But unfortunately, when he was older, he was allowed to be king of his very own country and still enjoyed dressing up and playing at soldiers. Victoria, Princess Royal – 1840-1901. Married Frederick, Crown Prince of Germany and Prussia. Their children included Wilhelm II, German Emperor and Sophia, Queen of the Hellenes. Albert Edward, Prince of Wales, later King Edward VII of the United Kingdom – 1841-1910. Married Princess Alexandra of Denmark. Their children included King George V of the United Kingdom and Maud, Queen of Norway, Queen Elizabeth II’s great-grandparents. Princess Alice – 1843-1878. Married Louis IV, Grand Duke of Hesse and by Rhine. Their children included Alix, Empress of Russia, wife of Tsar Nicholas II – both murdered, along with their children, by the Bolsheviks in 1918. Princess Alice was Prince Phillip, the Duke of Edinburgh’s, great-grandmother. Prince Alfred – 1844-1900. Married Grand Duchess Maria Alexandrovna of Russia. Their children included Marie, Queen of Romania. Princess Helena 1846-1923. Married Prince Christian of Schleswig-Holstein. Princess Louise 1848-1939. Married John Douglas Sutherland Campbell, Marquess of Lorne, later 9th Duke of Argyll. Prince Arthur 1850-1942. Married Princess Louise Margaret of Prussia. Prince Leopold 1853-1884. Married Princess Helena of Waldeck and Pyrmont. Princess Beatrice 1857-1944. Married Prince Henry of Battenberg. Children included Victoria Eugenie, Queen of Spain. These days, a courtesy mini-bus service is available for visitors unable to trek between the house, beach and Swiss Cottage Quarter. Regrettably, some of the drivers are unfamiliar with the term ‘courtesy’ and would doubtless feel more at home with kindred souls on the M6 near Manchester, safely away from irritating pedestrians. 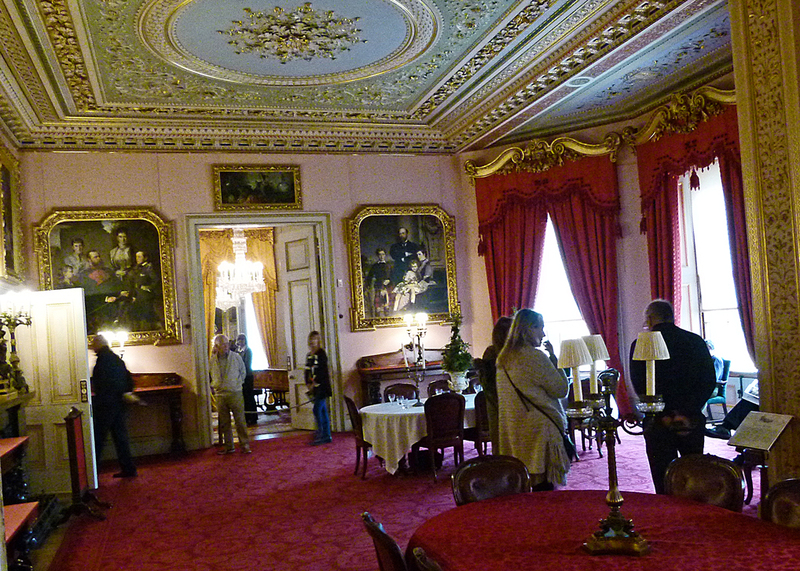 The tour of Osborne House interior takes in what you might call the reception rooms before ascending to Victoria and Albert’s private apartments on the first floor and the nursery, meticulously restored from old photographs, on the second. There is useful plan of Osborne House on the English Heritage website, if you’re interested. The expected opulence is there on the ground floor – the grand corridor is a stunning gallery of classical sculpture, for example, the drawing room is frankly extravagant and the staircase is actually palatial; but whatever republican or socialist sentiments you may harbour should be stifled by the over-arching sensation of wandering through someone’s family home. Victoria was also, at least to my amateur eye, an accomplished artist; her pictures are dotted about the place. I’m not sure the couple achieved their Geműthlichkeit at Osborne House – maybe they did, but in any event family portraits, mementos and the rooms themselves ensure that Victoria and Albert, not distant figures, but real people, are never that far away. 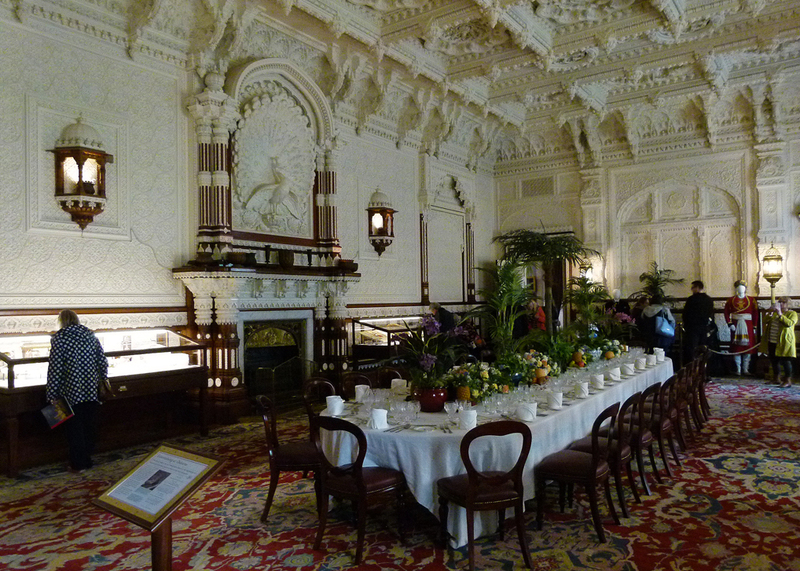 Here is the dining room, where Victoria’s body lay in state following her death on 22nd January 1901. 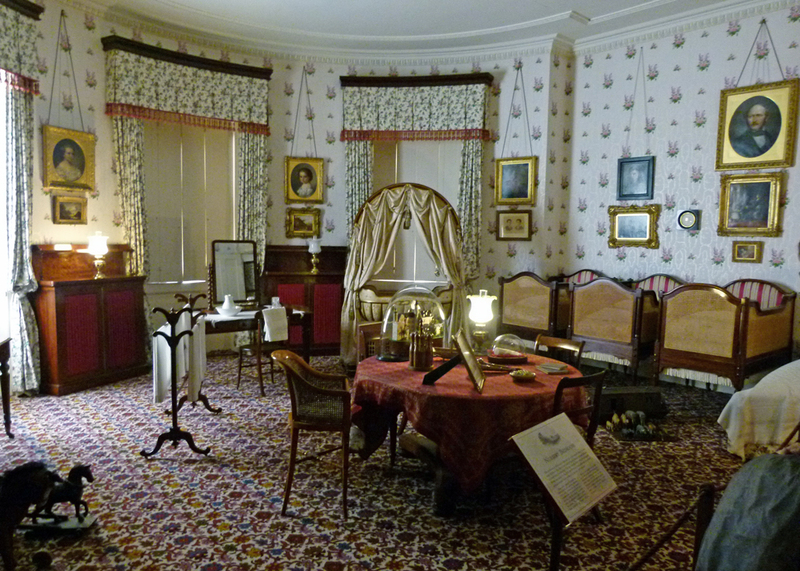 Here is Prince Albert’s bath (complete with lid) and dressing room, and the sitting room where the couple worked on state papers. They had adjoining desks, hers a little lower than his, and shared a fabulous view over the Solent. Here is Victoria’s dressing room, with its state of the art shower. 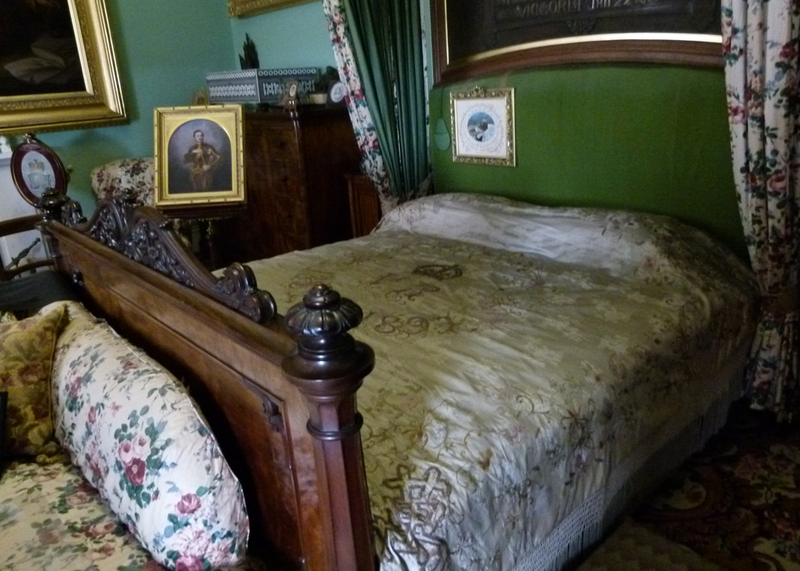 Here is Victoria’s bedroom, including the bed she died in. There’s a footstool by the bed – I’m guessing to help the diminutive Queen climb into bed. 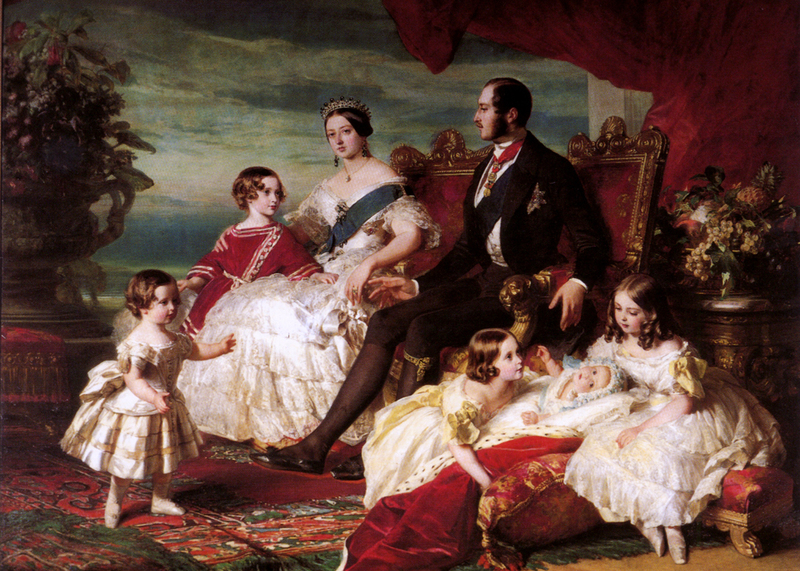 Time stands still; Albert’s portrait is there, and the bag he used to keep his watch in; after his death aged 42 in 1861, the Queen never slept without them. You almost feel as though you are intruding. I am developing a soft spot for Victoria, who I’ve always thought might have been a comely wench and who I’m also learning may not have been as un-amused as she is often portrayed. She also shared a genuine love story with Albert – and who can resist a good romance? Their relationship was occasionally tempestuous, but undoubtedly mutually passionate and loving, as evidenced by diaries and correspondence. She famously wrote of seeing her “dearest Albert in his white cashmere breeches, with nothing on underneath”. Risky; but, presumably, thongs hadn’t been invented. After their wedding night, Victoria coyly confessed to her diary that they had not slept much and later wrote, “My dearest Albert put on my stockings for me”, which as well as being a bit of a surprise must have been jolly uncomfortable, because she had much shorter legs than he did. Then she watched him shave, which she described as being “a great delight for me”. So, fellas, if you want to make the missus happy, now you know what to do. Facetiousness aside, Victoria endured a controlled, and sometimes possibly unhappy, life before she became queen and married her Albert. His early death was such a tragedy for the Queen that she may have contemplated suicide; she certainly mourned him for the rest of her life. This, too, is part of the Osborne House story; you are also left wondering what this energetic man would have achieved, had he lived. The one piece of real decorative flamboyance at Osborne House, at least to puritan British eyes, is the astonishing Durbar Room in the Durbar wing, built between 1890 and 1891 when Victoria was going through what we might call her Indian phase. Victoria was fascinated by India; though she never travelled there, she had, after all, been Empress of India since 1877. Durbar means a ruler’s court, public assembly, or kind of tour – similar to a royal progress – and is derived from the Urdu and Persian words for court. 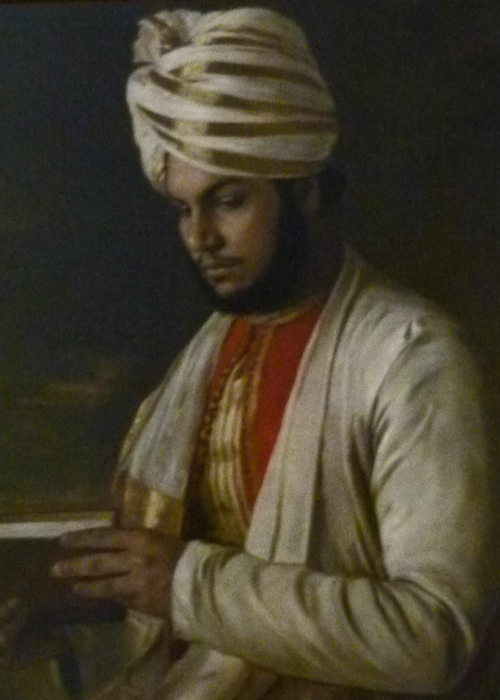 The Durbar corridor is hung with paintings of famous, and not so famous, Indians – including the skilled craftsmen that worked on the Durbar Room itself. This is a huge wedding-cake of a place, encrusted with a type of moulded papier-mâché and plaster decoration in Mughal style. It was designed by Lockwood Kipling, Rudyard’s dad, with plasterwork by Bhai Ran Singh. Surely, it must be a housework nightmare, I asked, and was informed that it is only cleaned every year or so; well, in our house, it would be a magnet for spiders and festooned with cobwebs inside a month. I suppose the arachnids at Osborne House just do what they’re told. And you would have eaten it whether you knew what it was, or not. Displayed around the fussy magnificence of the Durbar Room were case loads of beautiful and sometimes exotic gifts to the great Empress Victoria from loyal (or terrified) Indian rulers – textiles, sculptures, intricate metalwork and inlaid boxes. 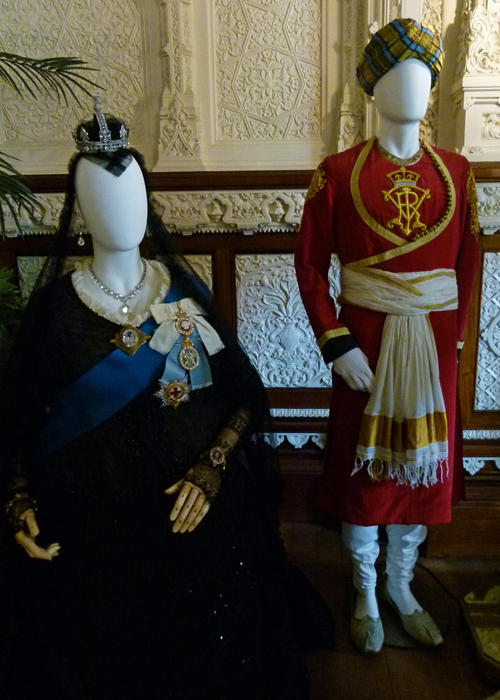 Also on display at the time of A Bit About Britain’s investigative tour were some of the costumes from the 2017 film Victoria and Abdul, starring Dame Judy Dench and Ali Fazal. 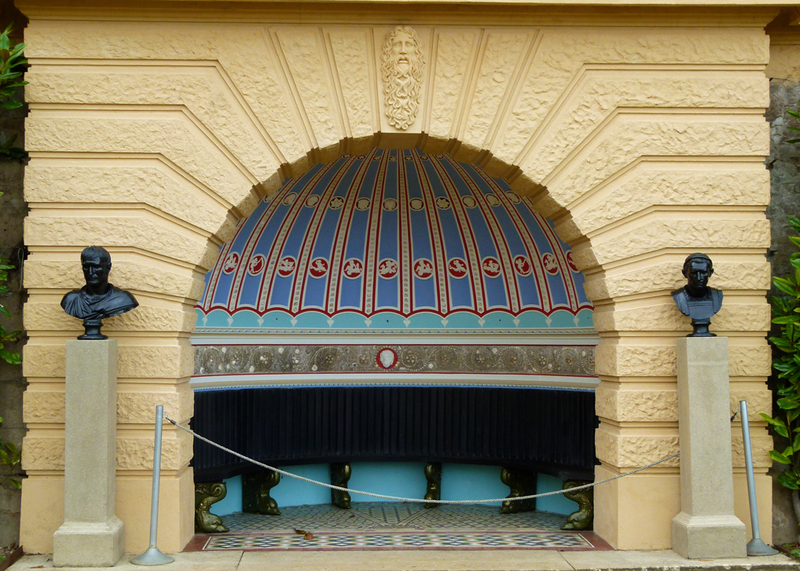 The film was largely shot at Osborne House and was the first time cameras had been allowed to roll inside the mansion itself – though it can be recognised from the outside in other productions. Judy Dench previously portrayed Victoria in the 1997 film Mrs Brown, starring alongside Billy (Sir William) Connolly. Other notable portrayals of the Queen-Empress have been by Jenna Coleman in Victoria (2016) and Miriam Margolyes in Blackadder (1988). In happy times, the Royal Family generally visited Osborne house four times a year and Victoria and Albert tried to spend their birthdays, 24th May and 26th August respectively, there. Things, of course, were never quite the same after Albert had gone, though Victoria regarded it as something of a bolt-hole and returned for longer holidays, perhaps for three months at a time. Edward VII had no interest in Osborne House after his mother’s death and, having instructed that the private apartments were to be locked – and special gates were installed for that very purpose – he gave the estate to the nation. In 1904, parts of it were opened to the public and most of the rest became an officers’ convalescent home. For a short while, it became a naval college. HM Queen Elizabeth allowed the private apartments to be opened in 1954 and, in 1986, English Heritage assumed management of the estate. The nursery was restored and opened in 1986, the royal beach in 2012 and the Swiss Cottage Quarter in 2014. 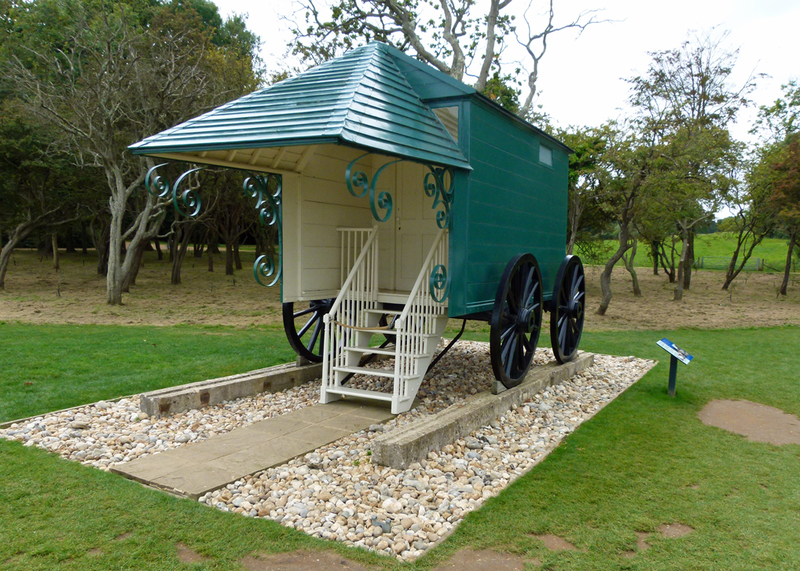 Osborne is one of the Isle of Wight’s premier visitor attractions and you need a day to do it full justice. It is an absolutely fascinating place – not necessarily because there are things to admire about it, which there are, but because of the insight it provides into the Royal Family in general, and of course Victoria in particular, as well as into the Nation’s social and political history. What do you think? “It is impossible to imagine a prettier spot” said Victoria. This is a beautiful post on the Osborne House. My daughter and I visited the Isle of Wight last Sept. briefly. We didn’t get to the Osborne House and hope to return on our next visit. We visited a lot in London. A lot of history in this fascinating place. Thank you! I have a soft spot for the Isle of Wight in general, but was a little surprised at how much I enjoyed Osborne. Thanks for this one, Mike. Rick and I were just watching “Victoria” on Sunday and the episode was set at Osborne. We were wondering if location and it certainly looked like it — or at least the cover shots if not inside. Fascinating history, all this. And interesting to see something not quite so gilded and more real for the royals. In the show she was in her bathing machine (and having quite the time of the swim) so it was fun to see the real deal — looks like they did a good job with it! Osborne is a fascinating place, Jeanie; I think you’d enjoy it. Thanks so much for sharing this — I feel like I know so much more about Queen Victoria, now, even after all the recent films and shows. I would love to visit Osborne House. A bathing machine, you say! Wowza! We’ve just finished watching the lovely Young Victoria here in the states—the scene you painted would have been a great addition to the show. My husband and I have been considering a return trip to England, this time hitting some of the coastal attractions. I’ll have to add the Isle of Wight to our bucket list. I love the Isle of Wight – happy memories of the place. I don’t know why – but all the times we’ve made visits to the Isle of Wight we’ve never gone to see Osborne House – must try and rectify this. Really interesting post, partly because we’ve been there. We spent more time at the beach and garden than in the house, but the whole place was fascinating. That’s the only garden designed specifically for children that I can recall visiting. It seemed a little regimented to me, but perhaps that’s what Prince Albert intended. A beautiful large walled veggie garden out back too. Thanks for the memories. I thoroughly enjoyed that post. From the outside, Osborne does look mediterranean. It was really nice to see inside pictures of that place where Victoria felt she was living a normal family life, however wrong that was. And it was fun to see the menu was in French – boy, how could they eat that much! A wonderful post, sharing so much information and history that I did not already know. Your photos as always are superb. Big, beautiful and most unwelcoming. But then, I’m not royalty and perhaps should not feel welcomed. I’ll hang back with the arachnids. Wonderful post. Thanks so much, Mike, for this beautiful and informative tour. I’ve always been intrigued by Victoria as well and of course the current series, Mrs. Brown and the present movie are all either seen or on the list. It’s truly wonderful to see inside this very personal home — and best of all is your terrific commentary! You’re a fun — and thorough guide! Its all very posh isn’t it, just what you would expect for royalty, the caption about the chicken coop made me chuckle though, such a big building for birds. Thanks for the map at the end of your post. The Isle of Wight is about 2 1/2 hours from Eastbourne, so maybe I could see it one day! You know, the more I read of Prince Albert, the more I like him, he must have been a fascinating man. Queen Victoria, she didn’t seem to be that great a mother to me, but I don’t think anyone could deny that she truly loved her Prince Albert! You always have a way of painting beautiful thoughts about a place with your descriptions and then the photos are an added bonus. I just envy your rich history in England. It does look like a fun place for kids to summer. 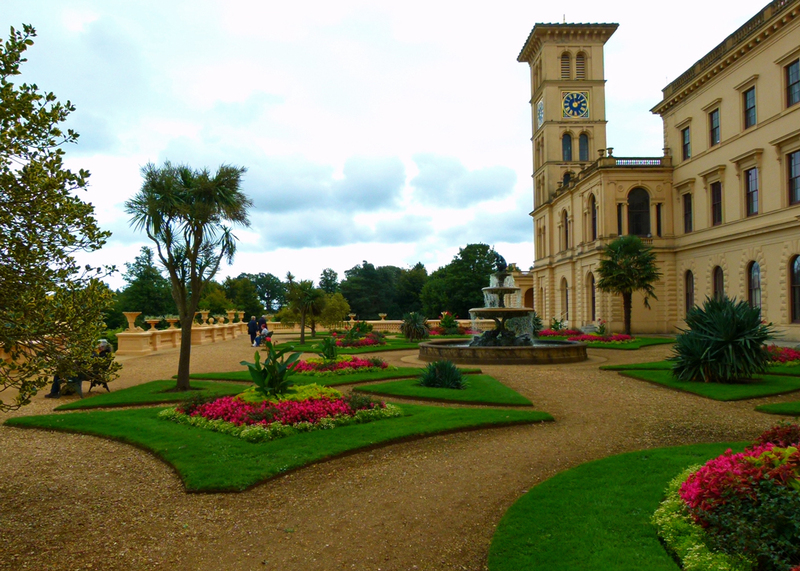 I enjoyed this visit to Osborne House very much! I remember visiting the house in the late 60’s while we stayed on the Island, my favourite part of the house being the terraces. (I was only nine years old!) It all looks much brighter than I remember – I do like your detailed photographs! No, it’s still pretty dim inside – except for the Durbar Room. I last visited when I was very small – seem to remember an enormous doll’s house (ie a large miniature house, not a house for big dolls), but there was no sign of it this time so I may have been mistaken. What a beautiful place, Mike! Thanks for this through and amusing post. Learned so much. Looking forward to the Judi Dench movie. I think I may be required to see that too; thanks for dropping in! An excellent description with well lit photographs. It is more than 30 years since I visited, but my abiding memory is of gloominess inside. Has that changed? I overheard a couple grumbling as they left that it was pretty gloomy inside. It is, mostly, I’m afraid. 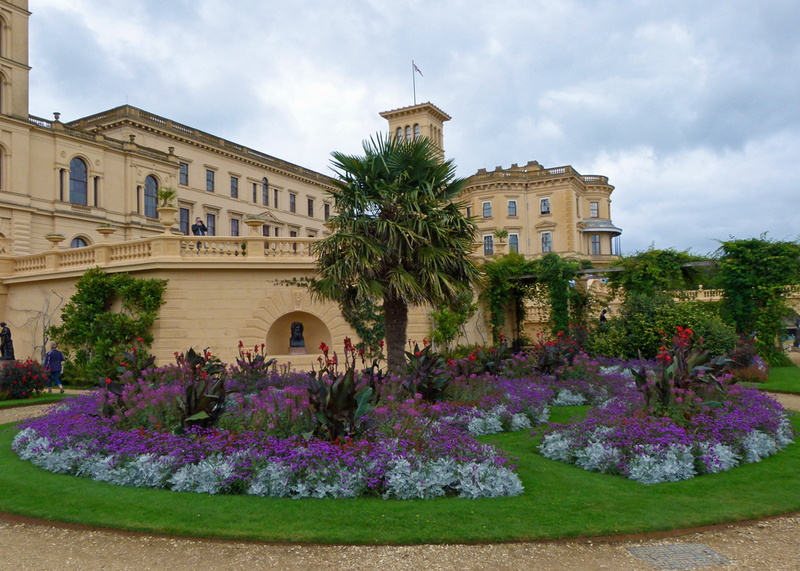 I have only been to Osborne House once, and loved it. Prince Albert certainly did concern himself with every aspect of the estate! I assume that was because he had a passion for design, architecture and machinery, and because he didn’t have enough formal, kingly roles. But it must have driven Victoria nuts. Or perhaps she was happy to let him get on with it. Excellent information. Not a place I’ve visited but definitely on my list now. Attitudes towards Victoria (and the whole Victorian age) seem to be constantly shifting; I can surely remember a time when any building labelled “Victorian” could be knocked down with impunity. So, Ozzie is actually royalty? I wonder what Victoria would have made of Black Sabbath? Different spelling of Osbourne, though! I found this the most entertaining post because I have just recently seen the movie Victoria and Abdul. 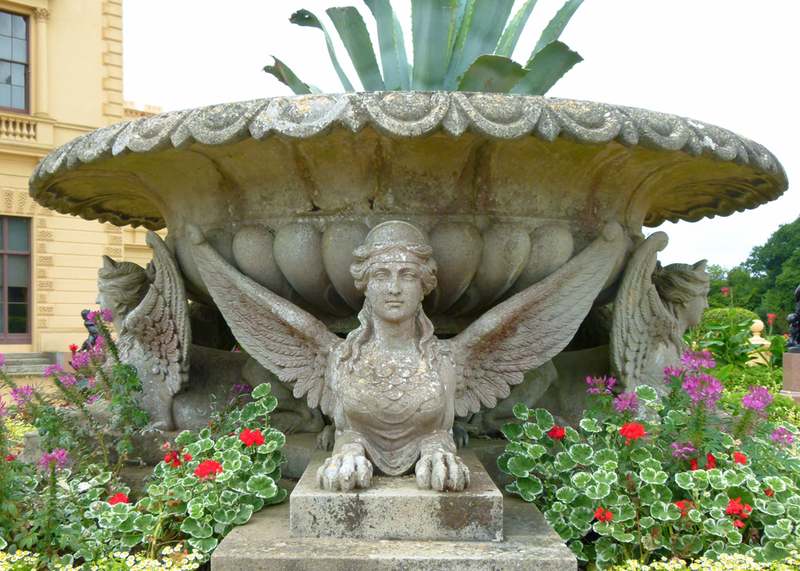 I would love to visit Osborne House and good on the Heritage people for keeping it so. me too 🙂 I will write up my film review soon. Wow Mike – your thoroughness becomes you. For those of us on the western side of the pond, who know only the outlines of Victoria’s life, your descriptions build a fully formed lifetime of experiences. Thanks !